This has to be one of the best smelling packages that has arrived for me and look, oh so spring like and pretttyyyyy. 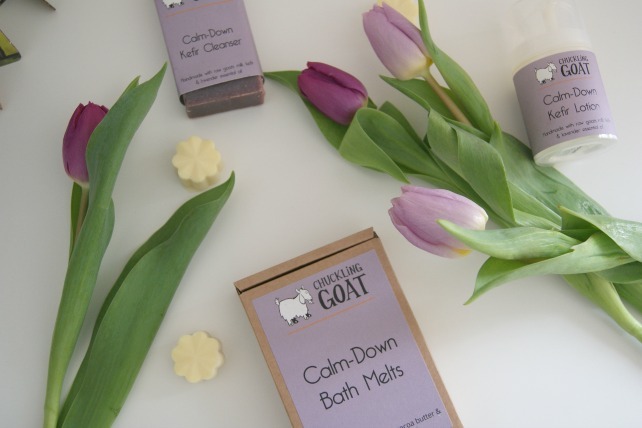 I’m a big fan of the effect Chuckling Goat products have on my skin and I love the story behind how the company got started (you can read my interview with founder Shann here). 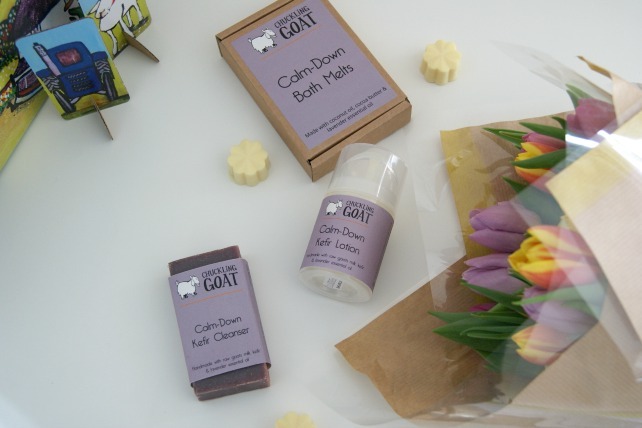 The Calm Down Toolkit* is a recent addition to the Chuckling Goat family and uses lavender oil as the fragrance to give it the lovely relaxing smell. 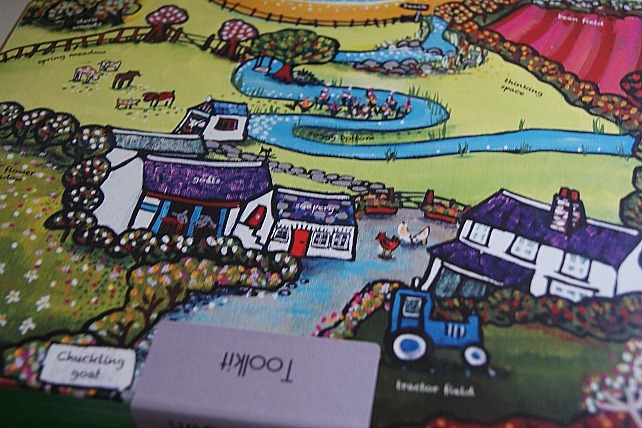 The toolkit arrives in the classic, beautiful Chuckling Goat box, featuring a local artist’s painting of the farm which creates these small batch, handmade products. The lavender essential oil not only gives this a relaxing smell (I love it in the evenings), but is also antibacterial so goes perfectly with the anti inflammatory kefir milk to help keep skin clear and smooth. 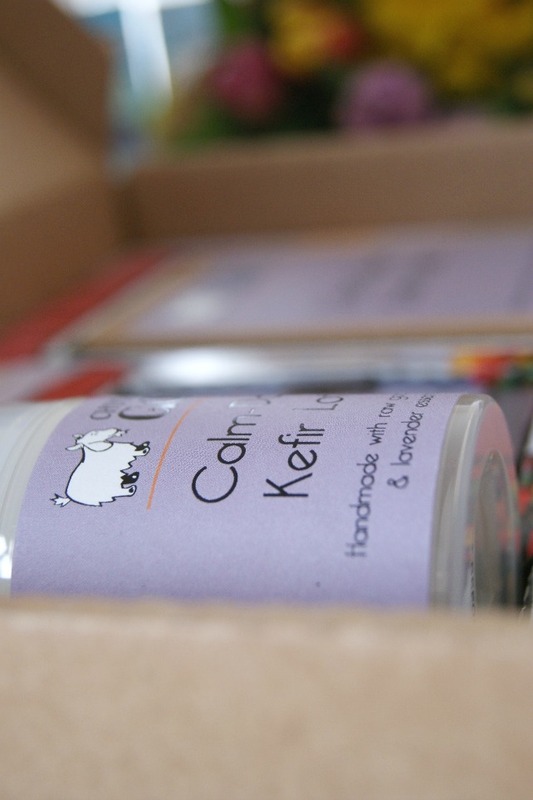 Using the kefir products has worked a little wonder on my shoulders and upper arms. 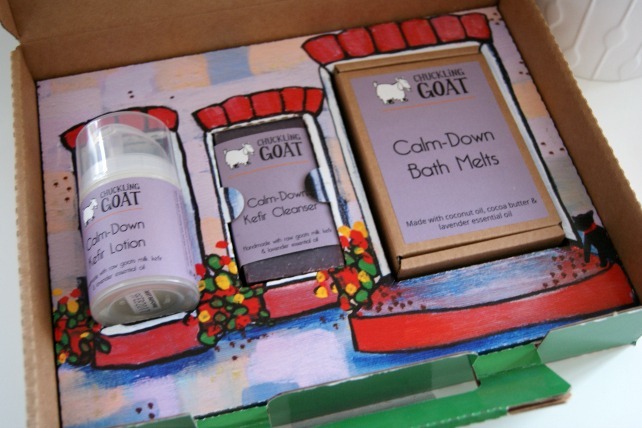 I use the Kefir Cleanser and Kefir Lotion most regularly (I also use the Soothing range, depending whether it’s morning or evening), but the toolkit also contains Bath Melts. 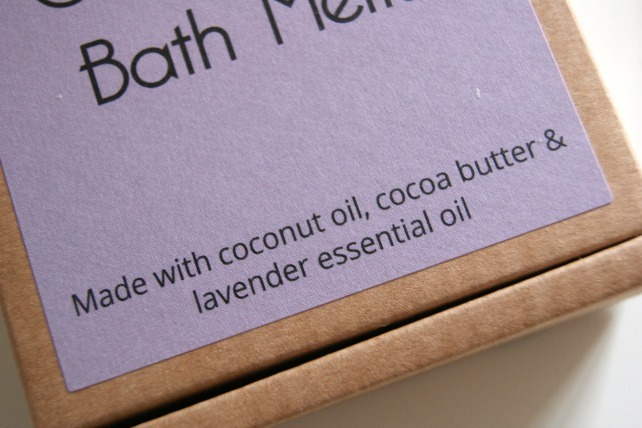 They melt coconut oil and cocoa butter into the water to leave skin soft and moisturised when you pop back out again. 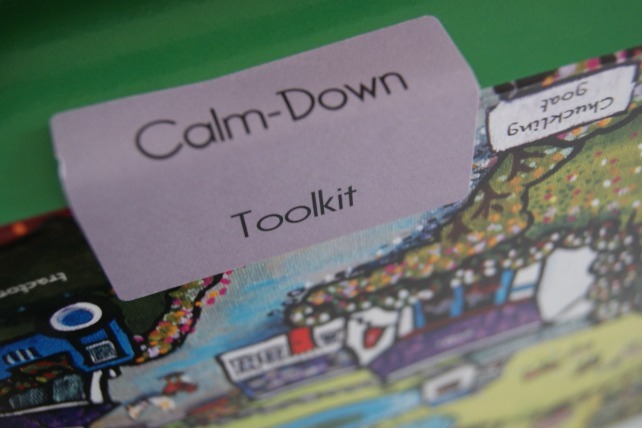 The toolkit costs £19.95 from Chuckling Goat’s website which is really good value for these products and how long they last. 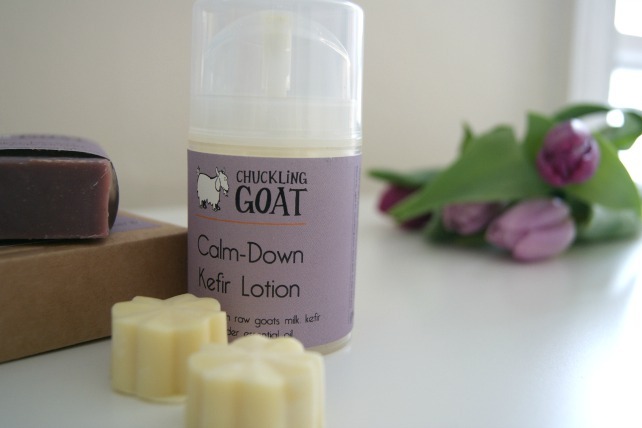 The lovely people at Chuckling Goat have a special discount code if you’d like to get in on all that kefir action. Just add PaperBeauty10 at the checkout and they’ll knock 10% off your entire cart (excluding shipping costs). As always, I appreciate your comments and love reading them. 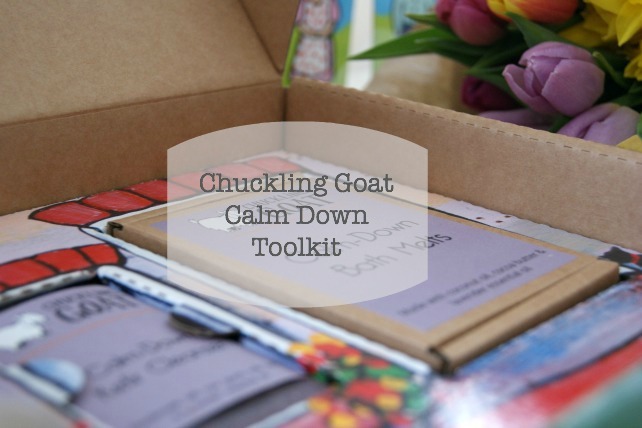 Have you tried Chuckling Goat? Or have you tried kefir? *products sent to me for consideration, but all views are my own and completely honest.